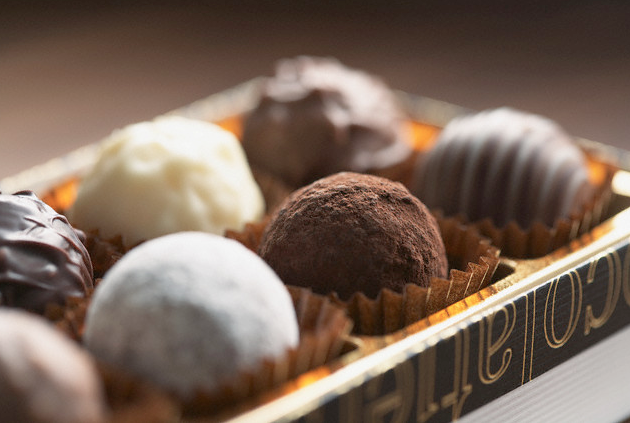 Oh, when thinking of love, the mind wanders to the love of chocolate. That lovely, splendid, smooth, good-feeling inducer and seductive taste sensation that can be ordinary or luxurious but is always tantalizing. The cocoa tree’s scientific name is theobroma cacao, meaning “fruit of the gods” and fruit of the god’s indeed! Over the centuries, legends have claimed that the consumption of chocolate benefited you with strength, health, faith and passion all attributed to magical properties it was thought to possess. Still, this icon of love endures and is a part of our lives. Cooking with it is a particularly indulgent activity, though important to note melting chocolate must be done carefully. Scorched chocolate will change the taste and texture and it must not come into contact with water. It will seize even with a few droplets and become unworkable! When buying chocolate it is worth restricting yourself to making quality choices. Check the label. Some chocolate is in fact candied and this is not the desired one nor will it produce the euphoric effects of luxurious chocolate.